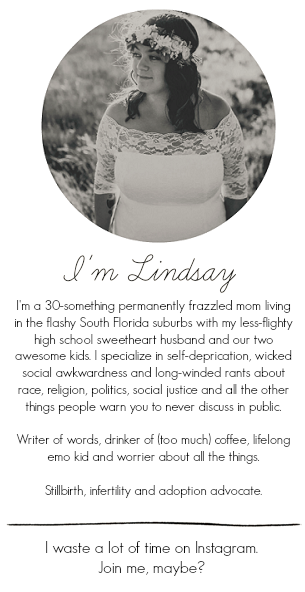 You Are The Roots: the one where i profess my love for shoes. kind of. the one where i profess my love for shoes. kind of. When I found out I was having a boy, it didn't take long before I realized I hit the jackpot in the kid's clothing department because of it. I mean, Hurley, Quicksilver, little itty-bitty DC shoes?! My husband and I couldn't wait to dress up our little skater boy. One of my favorite parts about having a little boy are the shoes. I love shopping for shoes...for Ethan. Little feet grow so quickly which, although a curse for our bank account, means plenty of opportunities to fawn over all of the cute shoes. The second I walk into Journey's, my mind just goes, "buy all the tiny skate shoes!" Ethan rarely complains because he has a huge crush on the girl who works at Journey's. The other day he referred to her as "girlfriend." She's cute and I approve. Anyway, we just got Ethan's new shoes for summer. They're his first pair of shoes with real laces and that makes me all sentimental so I thought I'd devote today's blog post to revisiting my favorite pairs of shoes in Ethan's giant-footed past. 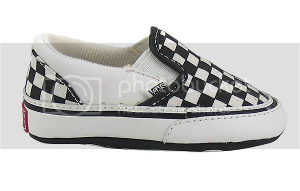 I bought these itty bitty Vans checkered crib shoes when I was pregnant and before I knew if I was having a boy or a girl. They were kind of a must. The real tragedy is that I can't locate any photographic evidence of Ethan ever wearing them, which makes me sad and wanting to kick myself. They are just about the cutest things I've ever laid eyes on! 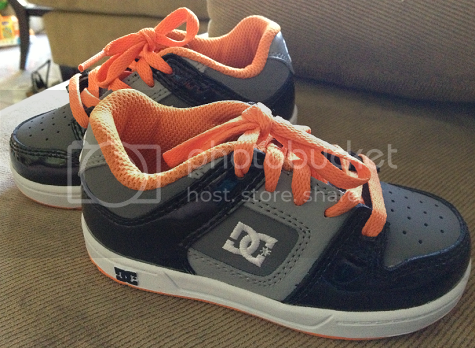 These DC Rebound high tops are beyond adorable. I mean, with ankles as chunky as Ethan's, they didn't end up being very practical and were a little bit of a struggle to get on as he continued to grow. Still, they were beyond adorable. 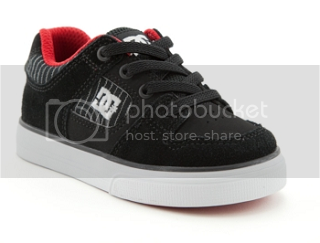 There is little cuter than a little skater dude rocking his DC high tops. 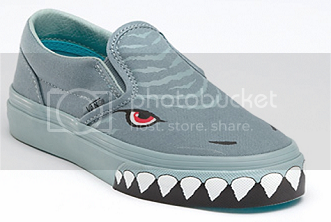 Ethan always received a ton of compliments on his Vans shark slip ons. These were adorable and the perfect shoes to just slip on before playing. They were also great for wearing at the splash pad or a place where they could get wet and muddy. They were just so easy to wash without issue! 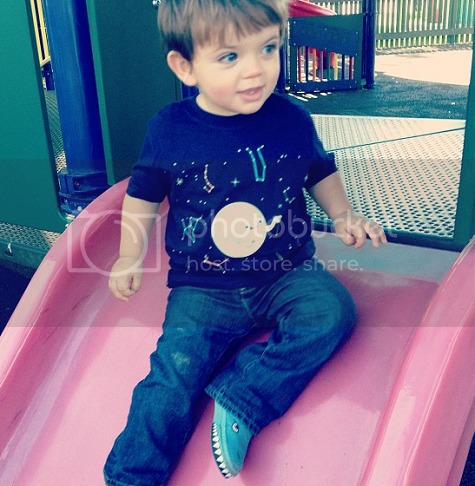 I loved these shoes and was super sad when he outgrew them. 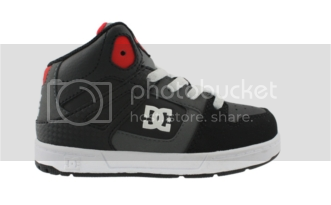 These toddler Pure skate shoes by DC were adorable. I loved the elastic laces on them which made them quite toddler friendly while still resembling big kid skate shoes. Ethan always looked so dapper in these shoes and I may or may not have wanted to cry on the day they no longer fit. These are actually new. We got them on Saturday! I'd been eyeing the DC Kimo sandals for quite some time and was super excited to pick up a pair in gorgeous blue for Ethan! These have a back strap for little feet who aren't yet accustomed to regular sandals without backs and that just makes them all the more cute. These dry so quickly and are great for puddle jumping and water play. Ethan easily runs and navigates the playground in them and, ugh, so cute, I just die. And just because, here are some of my favorite shoes for toddlers on the market right now that I would love to add to Ethan's collection one day! Simon has a few pairs of shoes but his favorite and the ones he always requests are his red, white, and blue fake crocs. he calls them his sneakers for some reason! When we decided to start our family we wanted a boy. Sure a girl would be fun too, but a boy--my goodness!! I couldnt wait to dress him up. 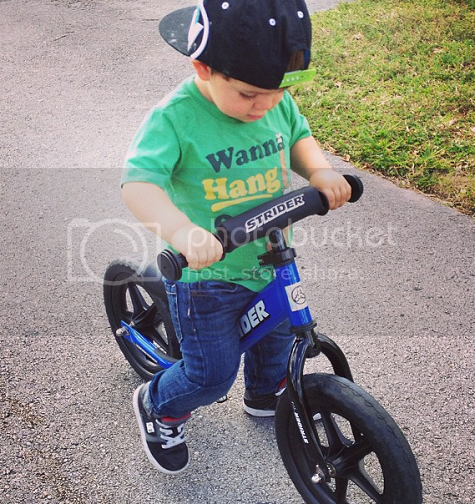 I wanted the preppy look with a bit of hip-hop influence (you can thank his Godfather for his first pair of Jordans.) He is beyond spoiled in the clothing department. I on the other hand just hang out in old jeans, a pair of converse, and a t-shirt. Sure dressing up like a girl can be fun, but when does that happen? A wedding or two, maybe, a year? I love this post because you and I have the exact same taste in little boy shoes!! Many are actually on my list of ..what should I get for fall? Right now, my son is actually obsessed with his sister's pink unicorn crocks and wears them always every day. 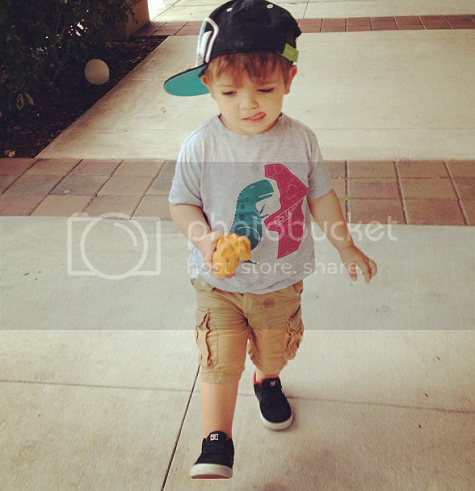 I do think that cool kicks are a little boy necessity. Ethan is sooo cute!! I have to say that Ethan always does have the cutest little shoes! I hope to have a boy one day because I think little boy clothes and shoes are the cutest. 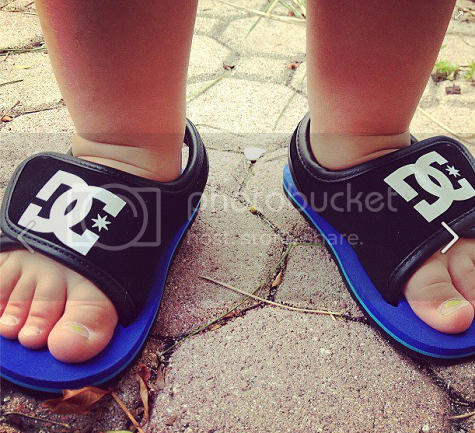 I've been wanting to buy Summer a pair of DC's! I love them.